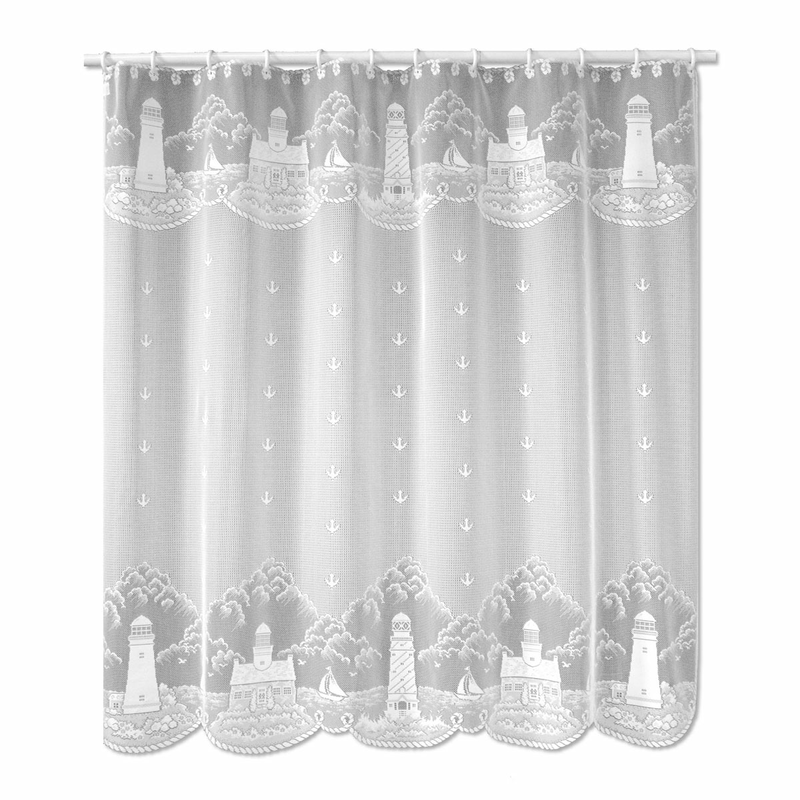 The Lighthouse Lace Shower Curtain enhances your coastal bathroom with beautiful lace lighthouses on the shore. This beach shower curtain ships from the manufacturer. Allow 1 week. Cannot express ship. 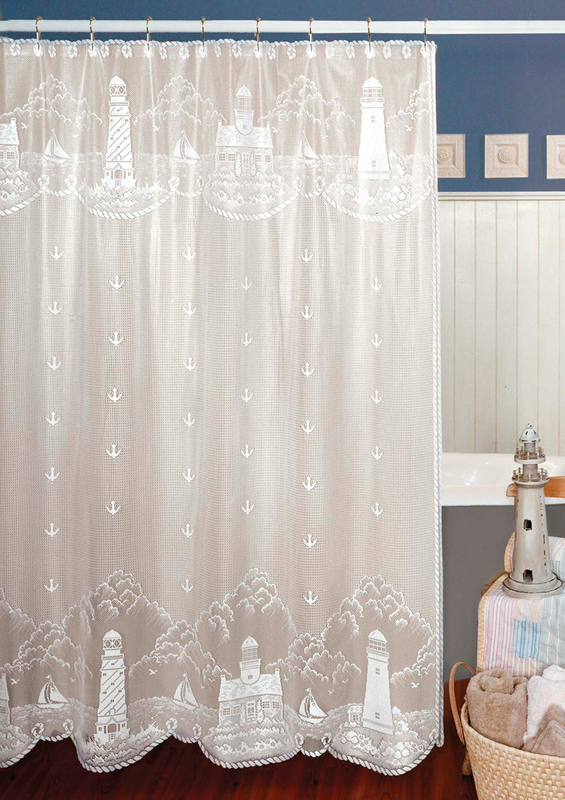 For many more products, we invite you to take some time to view our thorough assortment of beach shower curtains at Bella Coastal Decor now.